When being involved in a real estate transaction with a Realtor you will be in some form of agency relationship. Just as you are with a lawyer. Only difference is Realtors can represent the same party but with a lawyer it could never happen. Seller Representation: The brokerage is representing the seller, and by law do what is best for the seller. Confidences a seller shares must be kept confidential. The seller agent still must be fair and honest to the buyer and also disclose pertinent information about the property. Buyer Representation: The brokerage is representing the seller, and by law do what is best for the buyer. Confidences a buyer shares must be kept confidential. The buyer agent still must be fair and honest to the seller. Multiple Representation: Under this representation the brokerage must do what is best for the buyer and seller. Talk about walking a thin line. This is more the case if the same agent is representing the buyer and seller. It is still multiple representation but if it is two sales representatives with the same brokerage in the transaction they can work as a seller and buyer representation to provide best representations to the parties. These representations must be under contract to exist. Better known as a listing agreement and a buyers agreement. Customer Service Relationship: No representation is given in this relationship. The brokerage is providing services with no agreement but must still work in a fair and honest manner. The brokerage always will disclose these relationships to each the buyer and seller. Re/max has a new website! Check it out! We are pleased to announce the launch of the new and improved much anticipated remax.ca! The slick new site features a beautiful and clean design that matches RE/MAX's stature as the leader in the real estate industry. With higher quality leads, property alerts, and enhanced search engine optimization, RE/MAX is simplifying the home buying and selling process through its restyled and improved website. The new remax.ca now includes listings from an English Canada platform with listings from all provinces (excluding Quebec), the CREA National Shared Franchisor Pool, and RE/MAX Open Access listings. Prospective home buyers have a personalized experience through their profile. Agent ability to enhance all of your listings with video and photos via LeadStreet. Interactive gallery view means potential clients are able to filter their searches on the fly. Mobile site is device agnostic – it looks great on all devices! Mobile site displays new listings in your proximity. Check out the "new properties near me"! Mobile site delivers an ultimate customer experience that includes, driving directions, property alerts, and the ability to share through social media channels, including Pinterest. Watch this video and share it via facebook.com/remaxoa. Be sure to visit the new remax.ca today to explore all the great new features available! Oh My! 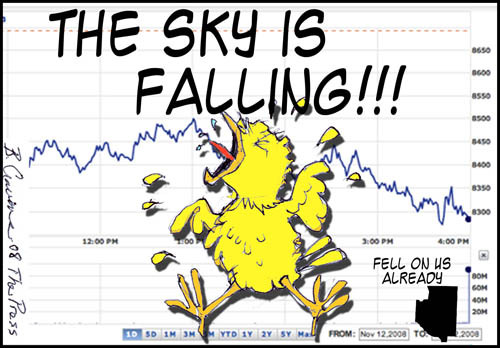 The sky is falling!!! Total number of current listing as of today 1846. Looking at our local numbers it seems we are steadily moving forward. Not by leaps and bounds by any means but slowly forward. That is great news. (so the media will never report it with bold letters like they love to when bad news is to be reported). 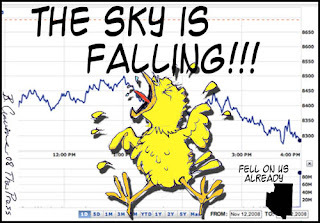 I hear the word bubble bursting, market crash things like that all the time for the real estate market. That may be the case in Toronto but not here. It will not happen here because we never had a bubble. Very few listings had bidding wars on them in Peterborough. Just a steady flow of sales. “Little has changed since national activity geared down in the wake of mortgage rules that came into force in July,” said Gregory Klump, CREA’s Chief Economist. “Opinions differ about how sharply sales have slowed depending on the local housing market"
Nov. 21st from 5 - 8 pm. You can vote for the new name at the open house or online (as i was told by staff). I could not find where online to vote but you can start here. Click Here. Let me know if you find it. I believe the name change will be announced early December. Click here to see all the name suggestions. 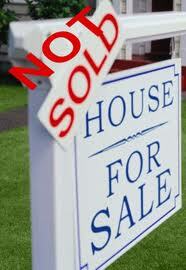 According to MLS statistics, total numbers of sales in October 2012 is up by 15% over October 2011. Year to date we are still up 1% in number of sales and up 4% in total sales dollars from last year in the Peterborough area. Current number of listing including all categories in the area is 1851. This is down from a little over 2000 listings total in October 2011. Real lack of inventory of listings. The Bank of Canada announced on October 23rd, 2012 it is keeping kept its key policy rate at 1 per cent, where it has been held steady for two years. This marks the longest period since the 1950s that rates have been left unchanged. The announcement was similar to those in September and July, including the bottom line that the Bank would still like its next move to be a rate hike. However, the Bank’s tone surrounding the timing and degree of such a move was softened, saying some “modest withdrawal” of current monetary stimulus – read small increase in interest rates– will “likely” be required “over time”. On another note, I write and video great blogs on the market every few days. Check it out at www.bradpsinclair.blogspot.ca or www.bradsinclair.ca. I also use twitter to pass on interesting articles throughout the day that I have read in the papers Canada wide. Worth the follow @bradpsinclair. 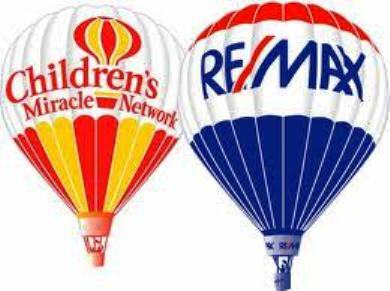 Re/Max Market Press Release 2013 looking steady despite CMHC tighten of rules. with home sales up or on par in 65 per cent of major centres—despite considerable headwinds in terms of tighter financing and economic uncertainty abroad. The trend is expected to continue, with home-buying activity propped-up by low interest rates and an improved economic picture in 2013, according to a report released today by RE/MAX. Nationally, an estimated 454,000 homes will change hands in 2012, falling one per cent short of the 2011 level of 456,749. Canadian home sales are expected to almost mirror the 2012 performance next year, holding steady at 454,000 units. The average price of a Canadian home is expected to remain stable at $364,000 in 2012—on par with the figure reported in 2011. Values are expected to appreciate nominally in 2013, rising to $366,500, one per cent above year-end 2012 levels. beyond the grasp of many first-time buyers." The report found that low interest rates were a major impetus in 2012, fuelling sales of homes across the board. Tight inventory levels also factored into the equation early in the year, causing a flurry of activity in many centres. By midyear,however, the third round of CMHC mortgage tightening had a noticeable impact on housing markets, pushing homeownership beyond the grasp of many first-time buyers. appreciation, along with the Atlantic Provinces in 2012, and a repeat is on tap for next year. In 2013, Vancouver will rebound to post the strongest sales gain, while the Quebec markets post the sharpest decrease. While first-time buyers will continue to have a significant presence in the overall marketplace, they are expected to take a back seat in 2013 in Canada’s largest markets—with move-up buyers the new engine driving home-buying activity. The greatest advance in home sales is expected in Vancouver (12 per cent), Calgary (10 per cent), Halifax (five per cent), Kingston (4.5 per cent) and Saint John (four per cent). The strongest upward momentum in average price in 2013 is forecast for St. John’s (six per cent), Regina (five per cent), Kingston (4.5 per cent), and Halifax (four per cent), followed by Fredericton and Winnipeg at three per cent. More balanced market conditions are expected in 2013 throughout the majority of markets, with supply meeting demand. homeownership than in years past. These two factors will also support the burgeoning condominium segment—along with Canada’s aging population—while the desire for tangible assets props up the upper-end. 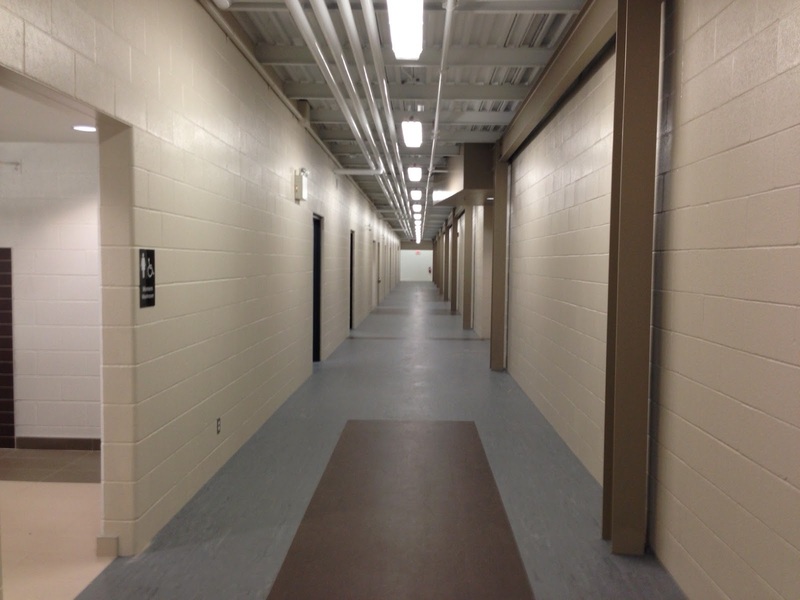 Ennismore Robert E. Young Recreation Comlex upgrades WOW! It was worth the wait. Ennismore's Robert E. Young Recreation Complex is nearing completion but is now open. The volunteers on this project went above and beyond. They did an unbelievable job. How many hours of work they have in this project only they know, but it has to be tons! Thank you, thank you, thank you, to those people! 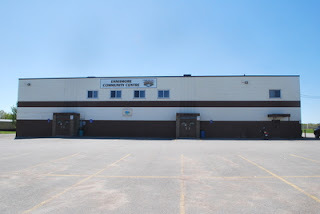 The old arena. Photo from My Kawartha. Click here to see the CHEX story on the arena. Hints to sell your home in the winter and why winter is a good time to sell. I wanted to point out to home sellers that want to sell now but are waiting to spring that there is no need to do this. I have finished a video and then below the video is some winter selling tips. Enjoy! Keep snow and ice cleaned up. First of all you do not want a dangerous situation for a fall. Access for the buyer to see the outside of the house and like the summer it is working curb appeal. Warm the house. Do not cheap out on heat when the house is being shown. Keep the house warm for the buyer. A cold house will turn off a buyer. If you have a fireplace or airtight make sure that it is fired up! Take advantage natural light. Keeping the curtains closed in the winter helps save on heating cost but open them up during showings to let in natural light. Emphasise on winter positives. The road is always plowed when I go to work, the snowmobile trails are down the lake, there is driveway plowers in the area, etc. Use the season to your advantage. Decorate for the holidays but when they are over take them down. You still can us winter wreaths and arrangements around the door. Anything seasonally appropriate is fun! Can someone tell me why my house did not sell? Can you handle the truth? Can someone tell me why my house did not sell? What is the number one reason a house does not sell? Dig deep and answer this honestly. It is price a good majority of the time. If your home is not selling, buyers are thinking the value of the house is less than the price you want. You need to find the "magic" number by having a CMA (comparative market analyst) completed and listen to what it says. The answer is my house is better then all the houses on that CMA is the wrong answer. That is your heart talking not your business brain. What you "need" from the sale of your home means absolutely nothing to the buyers in the marketplace. Think of it, if you are looking at a house would you overpay because the buyer "needs" the extra money to put down on a larger home? You may laugh at this but sellers say they "need" to me all the time. Ego also gets in the way. Your neighbour sold for $300,000 last year so you want $320,000 because you "know" that you house is better. Everyone thinks their home is the best home on the street. Unfortunately for sellers, the sellers opinion does not carry any weight with the buyers as the buyers opinion only matters. Not every reason your home has not sold is the price. The product could also be an issue. Your home must be clean and tidy for all showings. The curb appeal must be at its best at all times during the sale. You will find a million hints on this on the Internet so I am not going to take much time on that. OK Brad, you have blamed the Seller enough, when is it the Realtors fault???? The Realtor has many blames here as well. Here is what Realtors can do wrong right from the start. In my profession I know that Sellers do not always price the house, the Realtor does. I have seen it when the Seller is thinking of listing the house at $200,000 but the Realtor comes in and says put the house on for $250,000. You are saying WOW this is great, an extra fifty Gs! This is what I call "buying the listing". Some Realtors just want a listing and will tell you what you want to hear to get it. This happens a lot when Realtors are competing for the listing. How not to fall for this is to look at the Realtor's CMA. Does it make sense? Did the Realtor just pull the number out of thin air? Insist on a complete, precise CMA. Other areas Realtors fail is lack of marketing (Internet NOT paper), bad pictures, bad description, lack of virtual tour. Why is all these things important? Did you know 98% of buyers research their next home on the Internet before contacting an agent. They have already made a decision to look at your house or not on the basis of the above marketing. It must be done correctly. I can help you with every aspect of selling your home including the correct pricing and the right marketing. If your Realtor is not all over the Internet then your house is not either. It is all about the eyeballs people! The more people that see your house the more money you will get for it with less time spent on the market! OFFERED IS A VALUE PRICED YEAR ROUND COTTAGE & RETREAT ON BUCKHORN LAKE. THIS PROPERTY IS ONLY 5 MINUTES FROM THE VILLAGE OF BUCKHORN & 20 MINUTES FROM PETERBOROUGH, CONVENIENTLY LOCATED ON THE TRENT SEVERN WATERWAY. THIS 4 SEASON WATERFRONT HOME/COTTAGE IS LOCATED AT THE END OF A DEAD-END ROAD. FEATURES INCLUDE DOCKING & BOAT LAUNCH, TREED NATURAL 3/4 ACRE LOT, 500 FEET OF FRONTAGE, PRIVATE POINT, DETACHED 1.5 CAR GARAGE. THIS 3 BEDROOM, 2 BATHROOM HOME/COTTAGE ALSO FEATURES HARDWOOD FLOORS, WOOD STOVE, TILE IN KITCHEN & WRAP AROUND DECK. FISH RIGHT OFF YOUR PROPERTY. YOUR PRIVATE PARADISE WAITS. RESIDENTIAL - Solid brick 2 storey home located at the top end of Murray Street. This home features 3 bedrooms with closets, detached garage, paved driveway and hardwood floors under the carpet. The home is in very good condition with $6,000. worth of electrical upgrades. It is a wonderful, bright home for your family. Close to many amenities, hospital and great schools. Excellent value! What will baby boomers do to the real estate market? Seller changed their mind about selling after they accepted an offer. Here is what happen. I needed to preview a few power of sales in Peterborough and one estate sale for a client. Here is what I found.